Tommy's been in there so long, Father Platitudes is on a first name basis with him. Meanwhile, people are gathering for 9:00 Mass and are wondering where the Priest who's suppose to say mass is. The way Tommy refers to Brandy as "his girl" is creepy. Okay, we had a week of Tommy talking to himself. The we had a week of him saying the exact same thing to Mary. Then we had a week of him saying the exact same thing to the priest. So who's he going to say the exact same thing to this coming week? Jeez, at least Brigman has to draw almost all new panels every day and every week. Moy is just stealing from her syndicate. "In Which We Now Learn That The Answer Is Not Country Music Showers, Karaoke, Or Muffins, But Love". All. Beating truly...catalyst redeeming fully! What Brandy knows of Tommy is free transportation, club sandwiches, and pink fuzzy beverages. In the Worthiverse, that’s enough for true love and commitment. Remember Hannah Dingdon marrying Sean Hastings so he would provide transportation? People go to confession in a confessional to ensure anonymity, so how did Father Feelgood learn Tommy’s name? Even if by some weird happenstance Father F. recognized Tommy’s voice, he shouldn’t have let on that he knew the person. This is either a fake priest or yet another instance of KM incorporating something she doesn’t understand and doesn’t care to learn about. Probably the latter. Uh, I meant “fizzy beverages,” not fuzzy. Although some pieces of mold floating in those glasses might dispose of Tommy and Brandy - we can hope, can’t we? 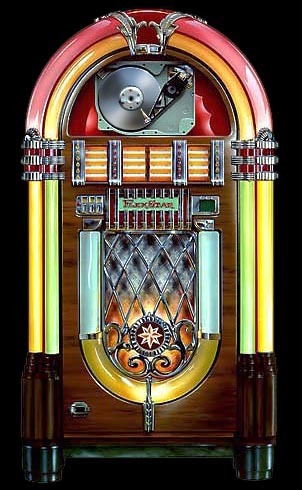 For the jukebox: All You Need Is Love. Tommy: Pay no attention to that man behind the curtain. Wanders, many believe that priests have nothing to offer in the way of wise counsel about love, but that's not so. Older priests who have known many married couples, or even younger priests whose parents had a solid marriage, are surprisingly insightful. Oh fauxprof, now you've got me picturing Tommy smooshing a half grapefruit in poor Brandy's face. Yahoonski, I’m thinking of Tommy on top of a gas tank yelling “Top of the World, ma!” as he gets blown to smithereens. OK, Tommy, I think our time is up for this week. Priest: Tommy, how’s you mother? I haven’t seen her at mass lately. Wait a minute. Isn't Fr. Feelgood basically telling Tommy not to disclose his past to Brandy? Isn't that the total opposite of what Mary advised him to do? Mary is not going to like this one bit Fr. Feelgood.